Long-shaped potatoes are most suitable for baking, microwaving or frying. These potatoes will fluff up when baked. Round-shaped potatoes keep their shape and their texture stays firm, making them an excellent choice for salads. Potatoes can be prepared on the barbecue in a variety of ways, but one popular way is slicing uncooked potatoes, placing in an aluminum pie plate or foil packet, adding vegetable/olive oil or butter and spices, and placing the foil on the grill. 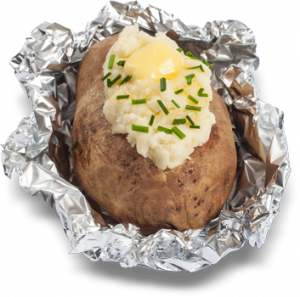 You can also bake potatoes on the barbecue… wrap in foil and make several holes with a fork through the potato and the foil. 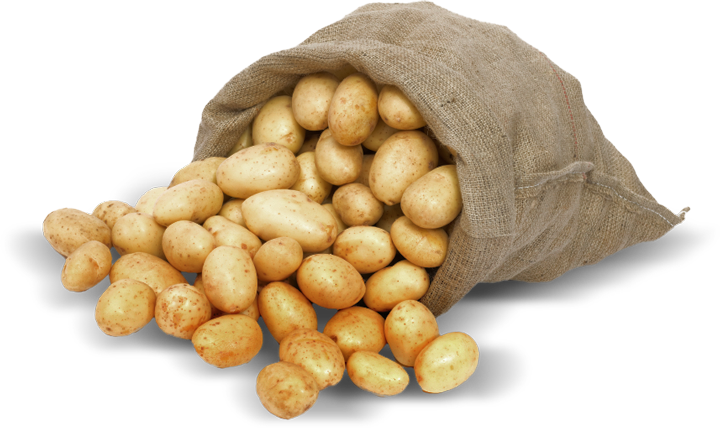 Choose round-shaped potatoes of uniform size. Round shaped varieties keep their shape and stay firm when boiled. Scrub potatoes, peel or leave peel on. If necessary cut in uniformly sized pieces. In a heavy saucepan with a tight fitting lid, cook potatoes in boiling salted water until tender. Approximately 30-40 minutes for whole potatoes; 20-25 minutes for cut up potatoes. 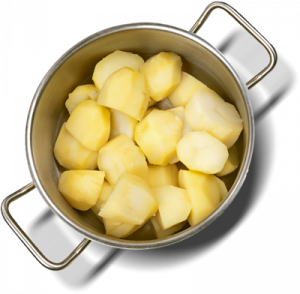 A little vinegar or lemon juice added to the cooking water will prevent darkening of the potatoes. Cooking times may change depending on size and variety of potato. If they are cooked at a full boil in too much water, long-shaped potatoes may not hold their shape. 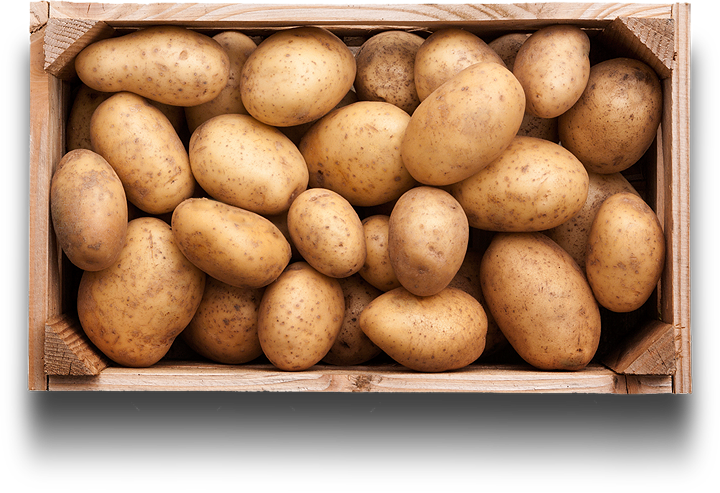 Store potatoes in a well-ventilated area with temperatures about 7˚C-10˚C (42˚F-45˚F). Choose evenly sized, long, oblong-shaped potatoes. Russet type potatoes are the most popular variety for baking. Gently scrub potato and pierce skin before baking. Bake the potatoes for one hour at 200˚C (400˚F) in a regular oven or at 40-45 minutes at 200˚ (400˚F) in a convection oven. Hold potatoes at 90˚C (180˚F) no longer than 15 minutes. Hold for 30 minutes in a convection oven. DO NOT stack potatoes while baking.